A Man’s Top 5 Reasons For Growing Up And Getting Married – is the title of an opinion article written by Steven Crowder for FOX News. This marriage therapist analyzes and says: Crowder nailed it! Thumbs up for this article! Right on! Fun and accurate! Read on below for this doc’s commentary on Crowder’s article. 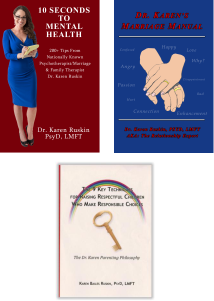 The question; Why Does A Spouse Cheat – is often asked of this relationship expert. The most common reason for infidelity, cheating myths debunked, cheater personality style, the definition of an affair, are all explained in a blog article I wrote in response to a request to be a guest blogger for Relationship Advice Cafe.